Clyde and Catherine Grant of Old Town died Friday afternoon when their car ran off the highway and hit a tree in the median, state police say. 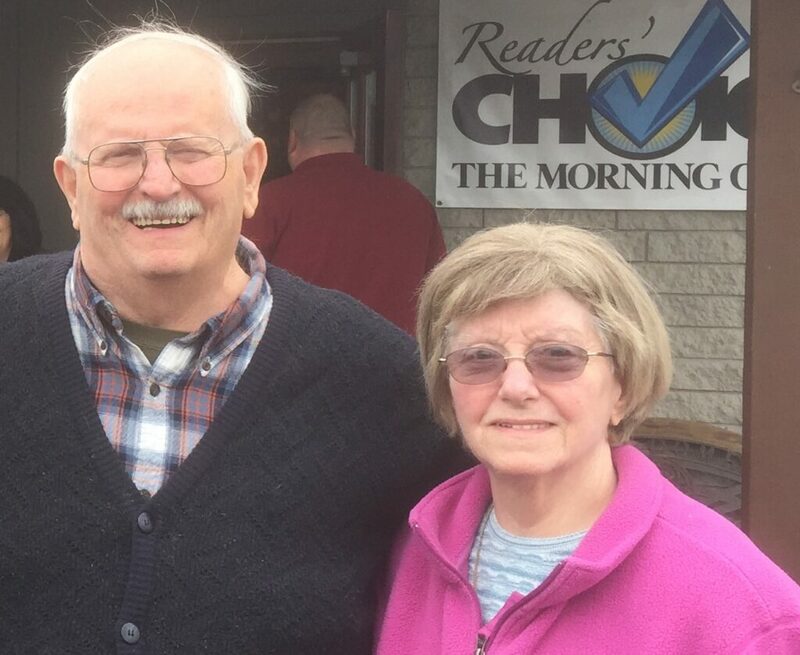 A husband and wife who died Friday afternoon in a single-car crash in Plymouth had been married for nearly six decades, their son said. Clyde “Shammy” and Catherine Grant grew up in Old Town and then raised a family there. They were 78 and 76, respectively. “They were married for 59 years and still held hands,” said their son, Joe Grant. Joe Grant said his parents both worked for many years at Eastern Maine Medical Center in Bangor. Catherine Grant held a variety of secretarial positions, including her last job in an outpatient unit. Clyde Grant was the director of environmental services, and he oversaw the nonsurgical aspects of the hospital, ranging from security to housekeeping. Joe Grant, their youngest son, works in the sports department at the Portland Press Herald. The Grants also had a daughter and another son, who died in the 1980s. Joe Grant said his parents were in Portland this week while his mother underwent back surgery at Mercy Hospital. His father was driving them home to Old Town at the time of the crash. Maine State Police said they suspect Clyde Grant suffered a medical event as the couple traveled north on Interstate 95. The car ran off the road in Plymouth and struck a tree in the median about 12:30 p.m. Both husband and wife died at the scene. Joe Grant said his family will plan a service at Holy Family Catholic Church in Old Town. They were married in that same church on Aug. 29, 1959, when it was called St. Joseph’s. “I didn’t want to lose them, but for them to walk the path together almost seems like the right thing,” Joe Grant said.